Honey bees are still dying at troubling rates; a bee expert explains why. As an extension apiculturist for the University of California Cooperative Extension, I talk to many people, from beekeepers and growers to members of the general public, about honey bees. Most of my audiences are concerned about how honey bee losses could affect the security of our food supply. While the massive and sudden colony collapses that occurred a decade ago have abated, honey bees are still dying at troubling rates. Laboratories like mine are working to understand the many factors stressing bees and develop strategies for protecting them. Fell and Troy Anderson, a pesticide and insect researcher also working on the Virginia study, said Lu fed high doses of neonicotinoids over long periods of time — a situation not found in normal colonies. Specifically, the levels of pesticides exceeded what is found in the nectar and pollen of treated plants. That is a problem with many lab studies, too, Fell said. Recent studies have shown that bees are good at detoxifying themselves after exposure to neonicotinoids, Anderson said. Besides, neonics are not widely used in Southwest Virginia, yet annual losses hover around 30 percent, he said. The European Food Safety Authority (EFSA) has published figures on the loss of bees in the EU. Belgium tops the list for winter mortality, and France for the beekeeping season. EurActiv’s partner Journal de l’Environnement reports. Funded by the European Commission and carried out by the EU Reference Laboratory for bee health in France, the EPILOBEE study examined the mortality rates in 5,798 honey bee colonies across 17 EU countries between autumn 2012 and summer 2014. One of the biggest attractions of Brexit for many is the potential for the UK to develop a more science-led approach to pesticides and plant technology. But has that argument been damaged by the events of the past week? George Eustice’s decision to reject the NFU’s application for a derogation from the EU neonicotinoid ban has added further fuel to the Brexit debate. This position came in for further scrutiny in the wake of the decision by Mr Eustice to reject the latest NFU/AHDB application for a derogation from the current EU neonicotinoid ban. A bit more research would have shown her the following facts. The number of honey bee colonies is not plunging according to Statistics Canada but rather up 40 per cent in Ontario since neonic seed treatment started in 2004. Health Canada concluded in January 2016 that there was “no potential risk to bees” from use of a major Canadian neonic seed treatment and that neonic seed treatments reduced crop losses in Ontario by more than $100 million annually. Finally, a recent multi-year National Honey Bee Disease Survey found that varroa mites and other pests and diseases are the dominant cause of bee deaths in the United States. That fact was also confirmed by several pollinator studies that landed in my email last week. I’m a hobby bee wrangler by definition of these studies and since they’ve come out there have been multiple articles written about how to analyze the numbers and how the results are not comparable because the data is gathered differently. I get nervous when it takes more pages to describe how to interpret the results than the studies themselves. Grain farmers in Ontario have taken to Twitter to blast their province for regulations that demand farmers plant only half their acreage with neonicitinoid-treated seeds this year. 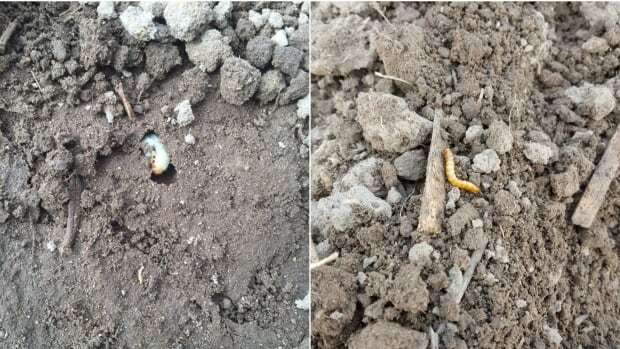 The NFU has said it will persist in applying for the emergency use of neonicotinoid seed treatments on behalf of farmers facing pressure from cabbage stem flea beetle. This follows Defra’s announcement yesterday afternoon that Farming Minister George Eustice has decided not to accept the NFU’s most recent applications.